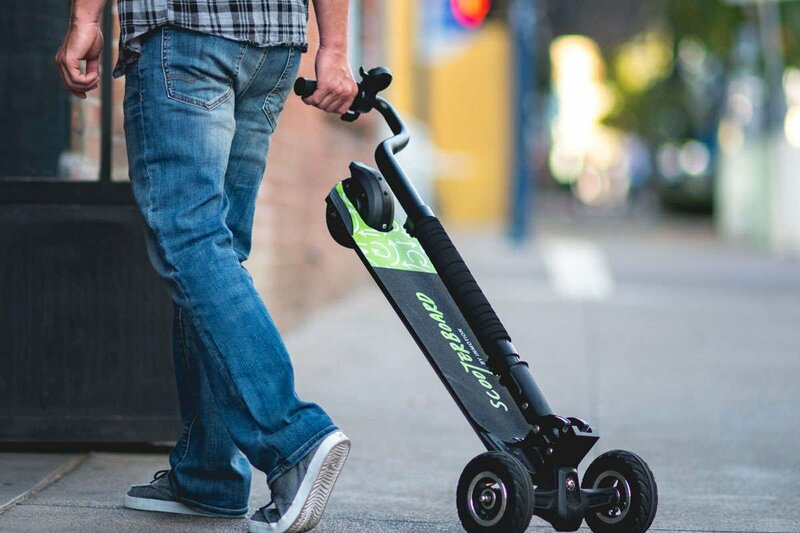 With Scooterboard's folding and locking handle, you can take it with you anywhere you go. In fact, you don't even need to carry it when not riding! 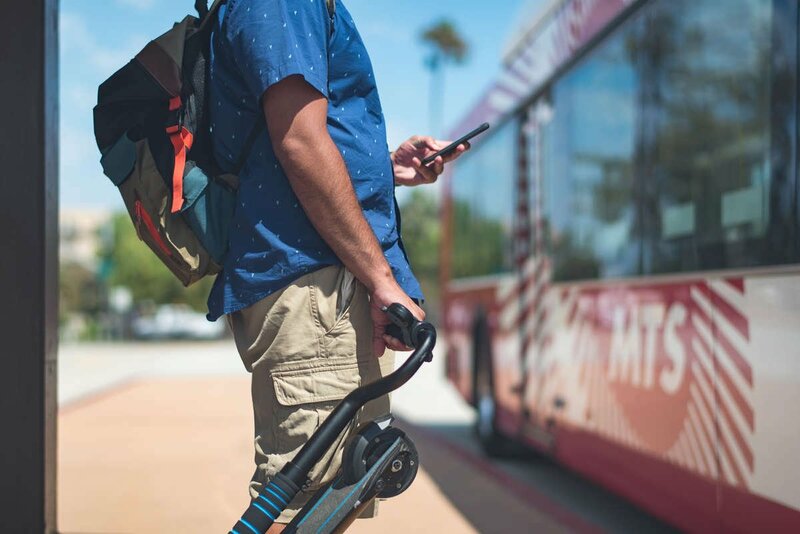 In the folded position, Scooterboard is designed to roll next to you like luggage. 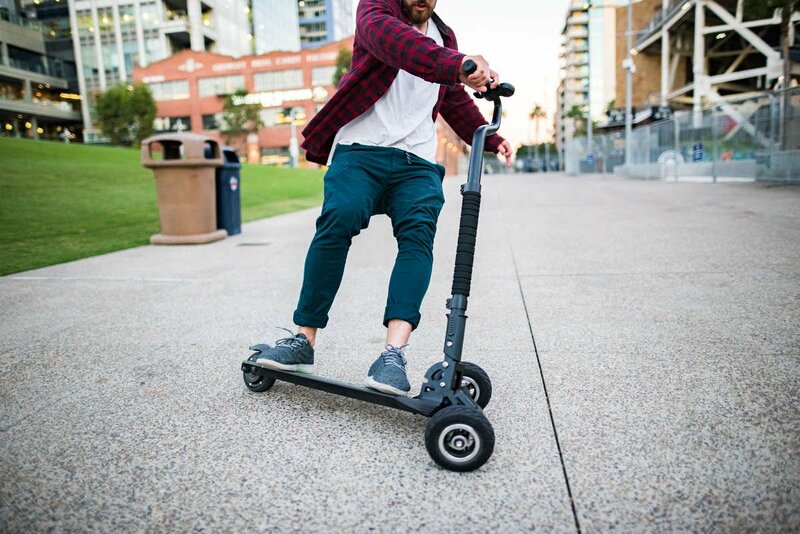 Scooterboard is unique because you don't need to be an expert in board sports to carve like a pro. 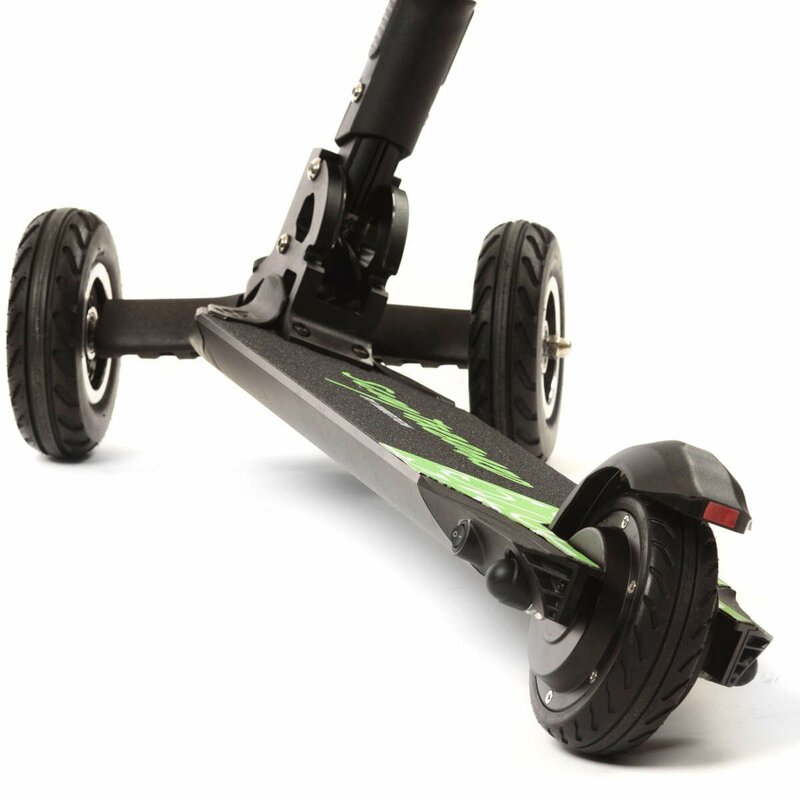 The experience feels like riding a skateboard, but with so much more stability and control. Grown adults and kids alike can learn to ride in just one quick session. This is a major game changer. With a motorized rear wheel and a fork-mounted swiveling front truck, you can lean at a much greater angle, resulting in sharper steering. 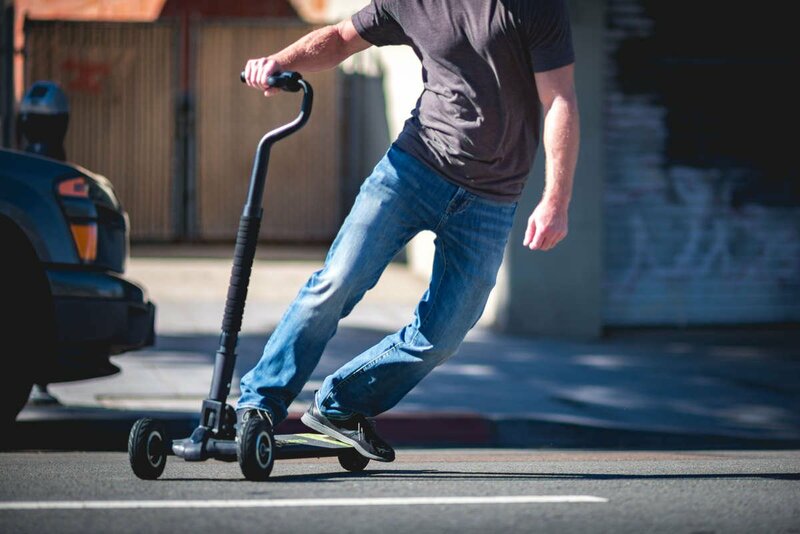 The control handle gives you more stability and confidence, from learning to ride to more advanced techniques, all with one hand! Throttle & brakes are built-in: no dependence on a wireless controller for your safety. 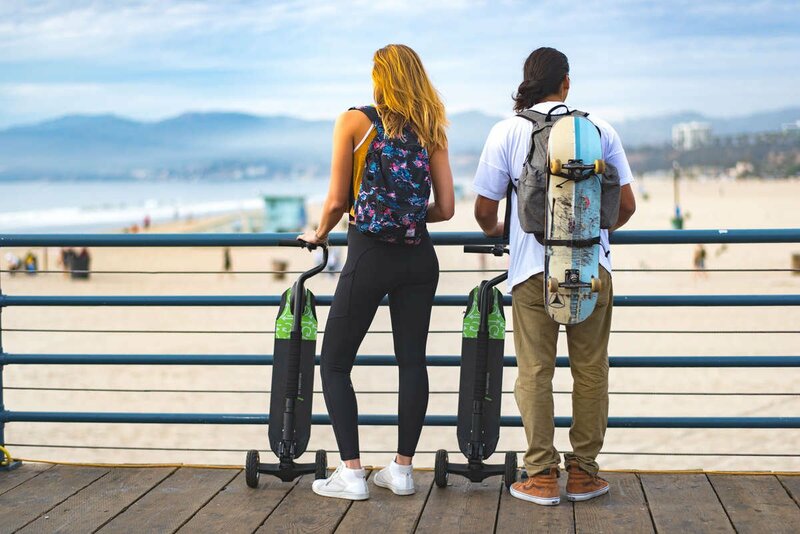 Fold up with the spring release and pull Scooterboard along with you. It easily fits in a small space like a trunk or a locker. Checkpoints in the charger and battery prevent overcharging, so you can rest assured our battery is safe. Casual Mode and Power Mode give you choice in how you ride. 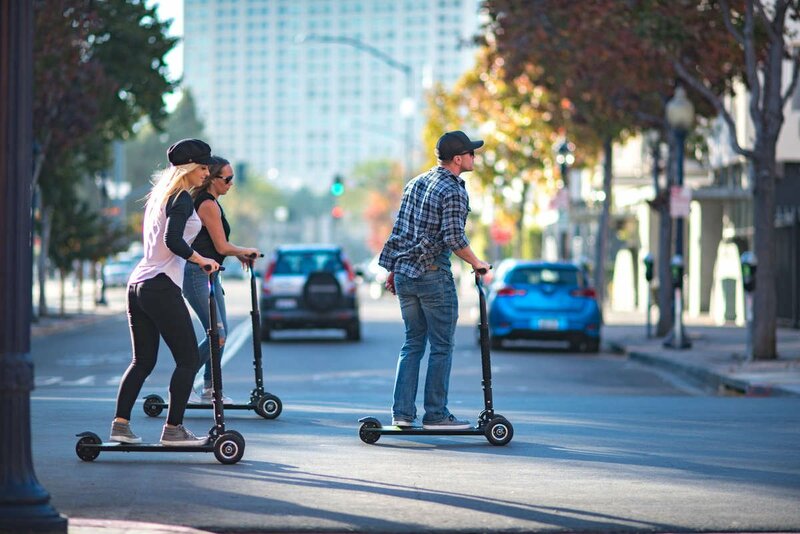 Do you want to cruise around town with easy acceleration and braking? There's a mode for that. How about a sportier feel with faster acceleration and braking? There's a mode for that too. 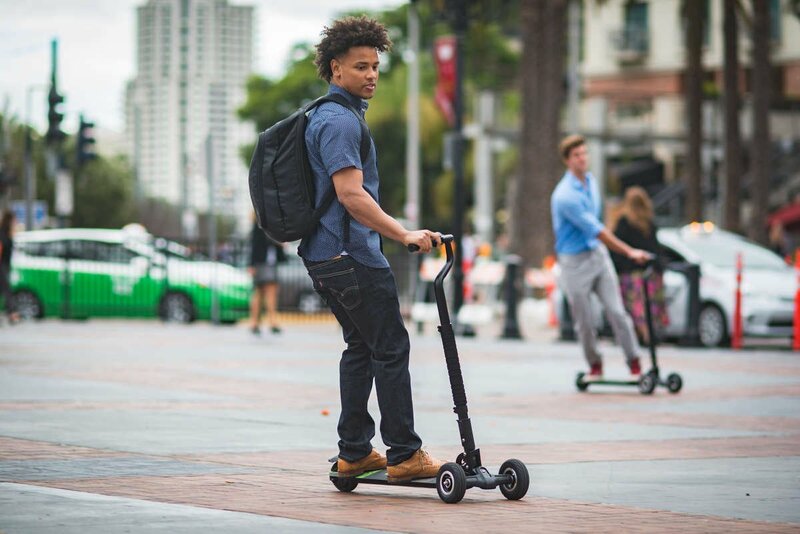 You will never need your phone to use or setup your Scooterboard - no bluetooth, no setup, no hassle, no problem!